Applewood smoked ham, avocado, and spinach with eggs and hollandaise on an toasted English muffin. 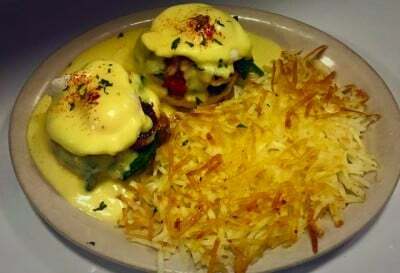 Served with hashbrowns or homefries for $13.99. Deep fried cheese curds tossed with pickled Hungariangoat-horn peppers $8.99. Our delicious 1/3 burger topped with avocado, pepper jack, red onion, roasted jalapeños, and spicy Santa Fe sauce. Served with your choice of lunch sides. A Cajun seasoned chicken breast on a bed of linguini with red and green bell pepper, mushrooms, and green onion. and a freshly baked buttermilk biscuit. asparagus, and choice of potato. *one free kid's meal per adult entree. 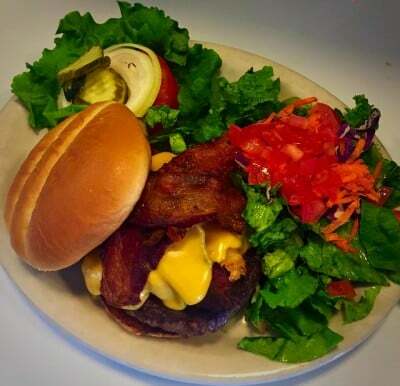 Come check out our wide variety of burgers, sandwiches, salads and dinner favorites. Oak Tree Northwest has been a family owned and operated restaurant for over 40 years. It is the second oldest restaurant in Ashland. ​Oak Tree offers a comfortable, family environment in the restaurant and a sports lover's dream in the bar. 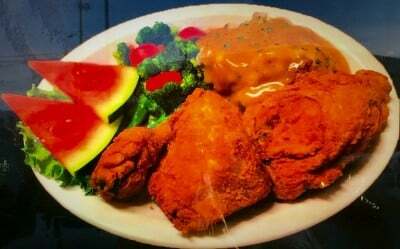 Try our homemade, hand battered fried chicken!